So they have prepared a website: http://www.modern.ie which is trying to make developing web applications supporting Internet Explorer easier. First of all they've prepared a tool that can scan our website and get a report that can help us improve general look and feel experience of our site. In some situations it can be helpful but it's always better to see how our site is looking in the real browser. Second great feature is set of virtual machines with all Internet Explorer versions starting from IE7. Apart from that there is a nice bonus - 3 month free trial account in the BrowserStack - a service which we can use to test how our application is looking on a variety of browsers and operating systems, including mobile ones. This service is really amazing. Microsoft prepared also a developers guide for applications that must work on older versions of their browsers. 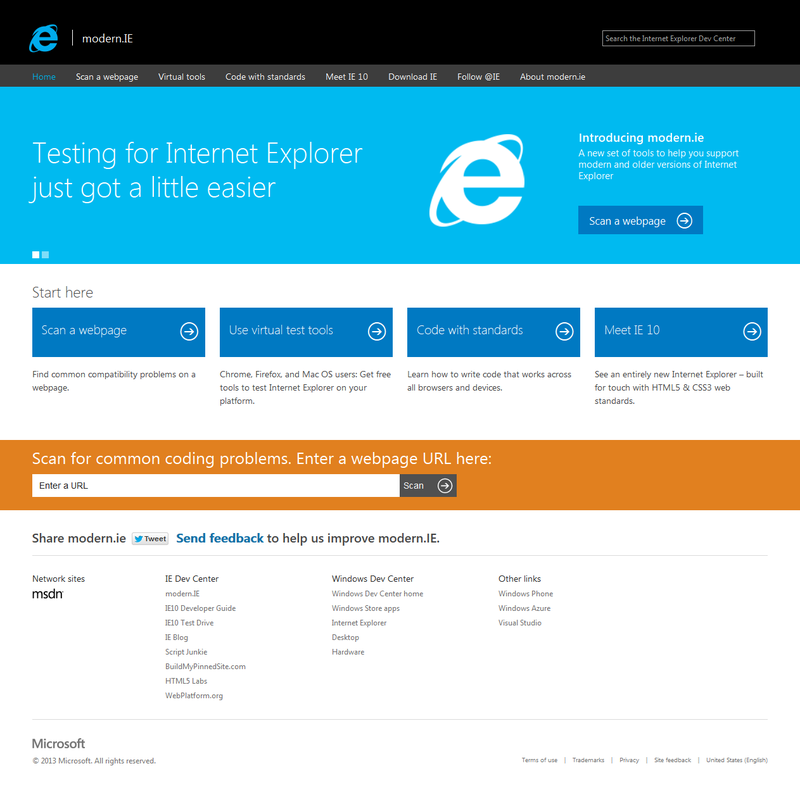 All of that is really looking good and I think Microsoft realized how difficult it is to develop web sites for the IE. When developing on a computer that has a Internet Explorer 9 installed I've been using IE7 and IE8 modes to test if everything is ok with application, but to be honest I can remember several situations in which this mode doesn't really reflect true behavior of those old browsers. So it's a really step forward from Microsoft in the developers direction. Hopefully the next versions of Internet Explorer won't be so popular because of problems around them.